Arroyo City, Texas, is a small community of families, fishermen, birdwatchers and Winter Texans who enjoy the serenity of nature and waterfront living without the tourist trappings. The tropical climate allows year-round fishing from lighted piers for trout, redfish, flounder, snook and tarpon. The area is about a 10-mile strip along the South bank of the Arroyo Colorado, as it winds its way to the Intercoastal Waterway and the Lower Laguna Madre. Dolphin, pelican, heron, turkey, deer and other wildlife are abundant. 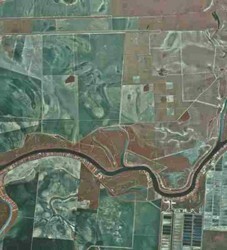 The Arroyo Colorado was a natural tributary running through the Rio Grande Valley of Texas out to the bay. During WWII, it was dredged by the Army Corp of Engineers to make a navigable waterway to transport supplies to the military base in Harlingen. Today, several major products are transported by barge to/from the Port of Harlingen. Arroyo City is 30 miles due north of Matamoros, Mexico, on Paredes Line Road aka FM 1847. We are about 22 miles from Valley International Airport and Valley Baptist Medical Center in Harlingen. Scroll down and grab the map below for a satellite tour of the Rio Grande Valley! South Padre Island is less than 20 miles southeast of Arroyo City, by boat; approximately 30 to 40 minutes by automobile. If you are looking for sandy beaches, t-shirt shops, fine dining and crowds, you will want to spend a day touring the island. Come on back to Arroyo City for a quiet night spent fishing for trout, redfish, flounder, snook, and tarpon from your private waterfront pier. McAllen, Texas is less than an hours drive west southwest of Arroyo City on US 83. If you want to avoid the construction and traffic delays, try taking US 281 through the farmlands along the Rio Grande to Los Indios. Take FM 509 through rural Harlingen/San Benito until you reach 106. Take 106 east thru Rio Hondo, then FM 2925 north to Arroyo City. For more information use the zipcode 78501 when you click on the "Neighborhood Profile" or "Free Local School Report" icons above and left of this description. Harlingen developed at the crossroads of major national rail lines and is an important trade and transportation center. Incorporated in 1910, its namesake was a canal-encircled Town in the Netherlands. With Harlingen's subtropical weather, golf courses are open year-round. Port Isabel, Texas, is less than 20 miles southeast of Arroyo City, by boat; approximately 30 to 35 minutes by automobile. If you are looking for tropical furniture, t-shirt shops, fine dining and tourists, you will want to spend an afternoon touring the Light House and neighboring merchants. Come on back to Arroyo City for a quiet night spent fishing for trout, redfish, flounder, snook, and tarpon from your private waterfront pier. 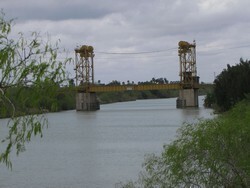 Los Fresnos, Texas is located 20 miles due south of Arroyo City on FM 1847. Children living in Arroyo City attend Los Fresnos Public School. The school system is the largest employer in Los Fresnos and provides many benefits to the community. Los Fresnos is enjoying commercial growth at this time, serving the growing community and the Hwy 100 traffic to South Padre Island. For more information use the zipcode 78566 when you click on the "Neighborhood Profile" or "Free Local School Report" icons above and left of this description. Arroyo City include Executive Homes, Residential Homes, Weekend Retreats, Winter Retirement Homes, Hunting and Fishing Lodges, Birdwatching Sanctuaries, and Short or Long-term Rentals. The tropical climate allows year-round fishing for trout, redfish, flounder, snook and tarpon from the lighted piers located in most of the waterfront yards. The Arroyo Colorado allows quick access to the Laguna Madre for great fishing points between Port Mansfield and South Padre Island, making Adolph Thomae County Park a favorite launching point for the weekend fishermen. Commercial Activities at Arroyo City include several RV Parks, restaurants, boat storage facilities, bait stores, car wash and a convenient "Country Store" for emergency supplies, including fishing licenses and an ATM. Heron Cove and Pelican Pointe are new housing developments with waterfront lots available. A new Fire and EMS sub-station from Rio Hondo has recently been completed and training is underway for a volunteer firefighting squad. Arroyo City receives its mail service from Rio Hondo and children attend the Los Fresnos School District. Scroll down the page and grab the map below for a tour of the Rio Grande Valley. San Benito shopping and dining areas are about 20 miles southwest of Arroyo City. San Benito, Texas is a suburban area with a population of ± 48,000, with median household income of ±$27,000 and median home value of $54,000. For more information use the zipcode 78586 when you click on the "Neighborhood Profile" or "Free Local School Report" icons above and left of this description.